A new meta-analysis showing the effectiveness of ketamine for dealing with persistent post-surgical pain (PPSP) is to be presented at Euroanaesthesia 2016 (London, May 27-30 ). Ketamine, a cheap and safe drug, may have the potential to save health systems billions of dollars globally by being used in place of other drugs to prevent PPSP. In this new study, Dr Philip Peyton (Austin Hospital & University of Melbourne, Department of Anaesthesia, Melbourne, Australia) and colleagues evaluated the evidence around ketamine for prevention of PPSP. Around 1 in 8 patients report PPSP after major surgery, and one third of these rate their pain as severe. A number of drugs and interventions have been studied to reduce this risk, including N-methyl D-aspartate (NMDA) receptor antagonists (such as ketamine), lidocaine and gabapentinoids (for example pregabalin (also known as Lyrica®). However, a recent Cochrane Review concluded that ketamine was the only agent with current evidence of a potential benefit in preventing PPSP. 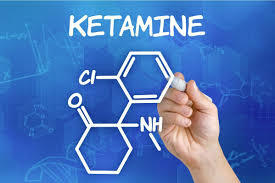 Ketamine is a non-selective potent NMDA antagonist commonly used as a second or third line agent to treat refractory acute postoperative pain. Peyton and colleagues recently finished a pilot study of 80 patients for a proposed large phase 3/4 multicentre randomised trial of ketamine for PPSP, and then performed an updated meta-analysis including data from these 80 patients. A systematic PubMed literature review was performed of papers reporting randomised clinical studies using placebo control that investigated the effect of intravenous ketamine at standard analgesic doses, either given during or during and after surgery, on the incidence of long term postsurgical pain, as either a primary or secondary trial endpoint. Incidence of PPSP was confirmed if the pain was still present 3-6 months after surgery and was rated at 3 or higher on a 10-point scale, or required ongoing use of painkillers. A total of 8 studies with 563 participants were found (including Peyton and colleagues’ pilot study) and incorporated in a random effects meta-analysis. They found patients given ketamine were half as likely to experience PPSP compared with those given placebo (actual risk ratio 0.49 for ketamine versus placebo).